I had an abundance of blueberries and strawberries languishing in my fridge, too much Greek yogurt, and a hankering for something different for breakfast. And I wanted to put something in old mason jars because I though it was very Pinterest-y of me. And I’m obnoxious. 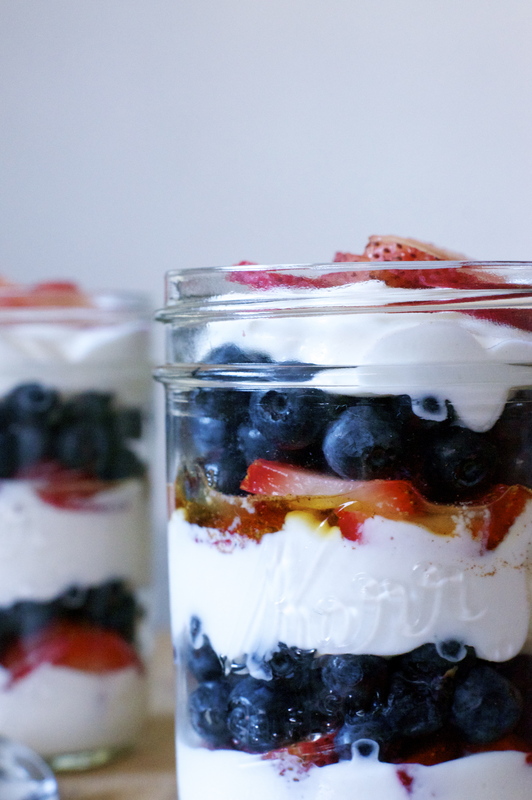 These Double Berry Greek Yogurt Parfaits were just the ticket. Super quick to make, full of protein and fiber, and naturally sweet, they are perfect for the morning or an afternoon snack and a wonderful post-workout treat! 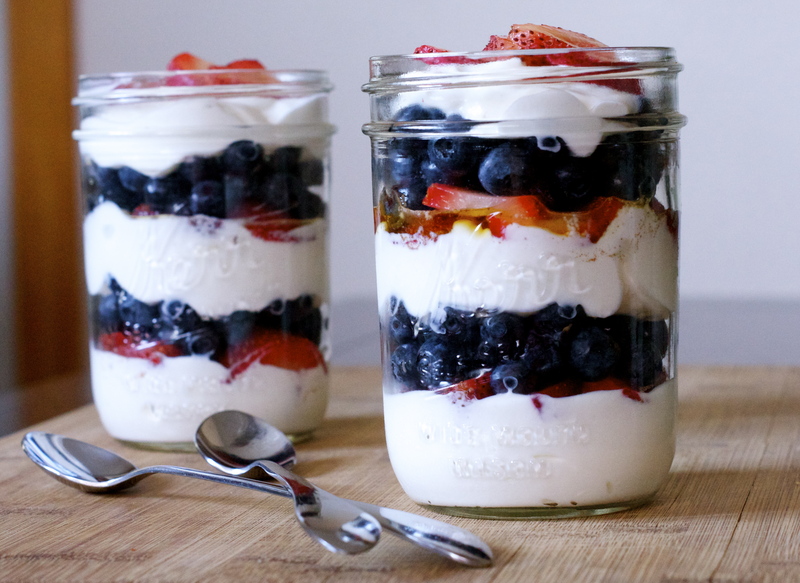 In mason jars or bowls, begin layers with ¼ cup of Greek yogurt, followed by a layer of strawberries and then blueberries. Repeat layering process until yogurt and berries are gone. 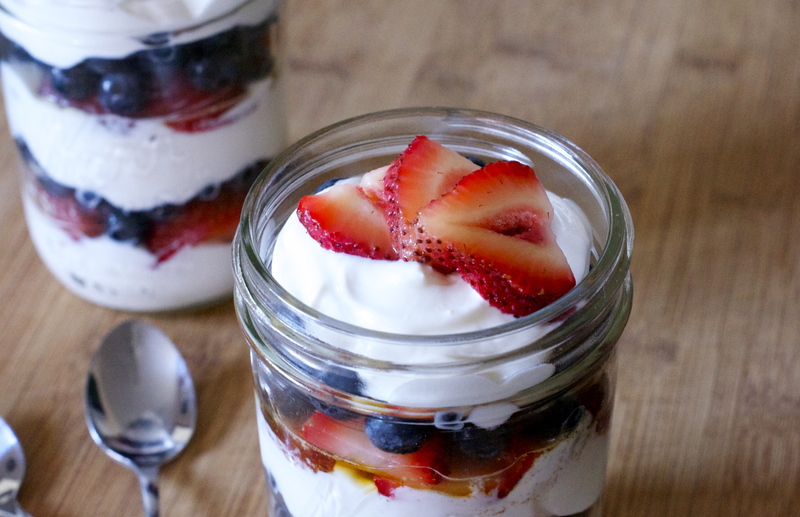 If desired, add a drizzle of honey and sprinkling of cinnamon to yogurt layer before adding berries. 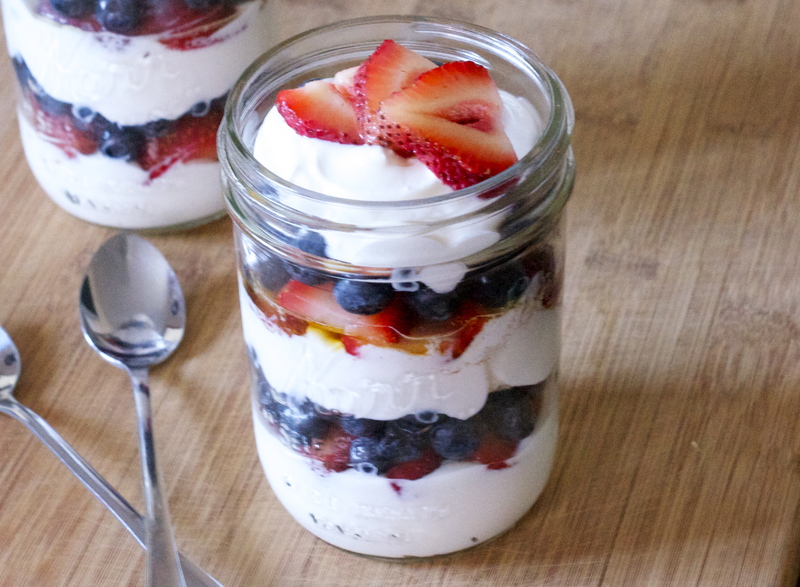 Store any uneaten parfaits covered in fridge for up to two days. Thought this looked healthy and patriotic! I wish I knew! You’d wanna look at the container of yogurt you have, then add what honey and fruit would be to that – like on a calorie counter.